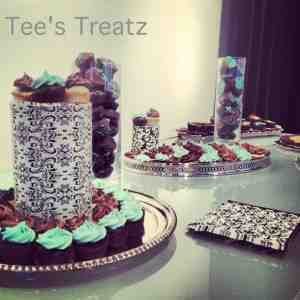 Last week, I was fortunate enough to be invited to the media tasting of their Le Pop Up restaurant. If you have never been to Cosmos, I must warn you, it is very tiny with only a counter of ten seats - small but perfect for a pop up. 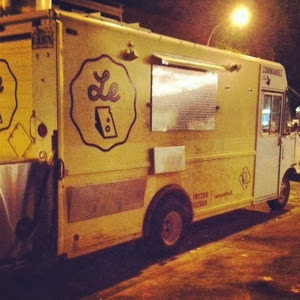 I had a chance to speak with one of Le Cheese guys, Pascal, who told me how they got the idea for this joint venture. One day after their shift in the truck was over, they headed over to their favourite hangover remedy spot, Cosmos, and decided to treat the Cosmos staff to lunch from their truck. After walking in and delivering some grub, the guys began chatting with the owners of Cosmos and explained to them that they were thinking of doing a pop up. Cosmos immediately agreed and the venture was born. We were the first to arrive, even though I thought we were going to be late because of how bad the traffic was. 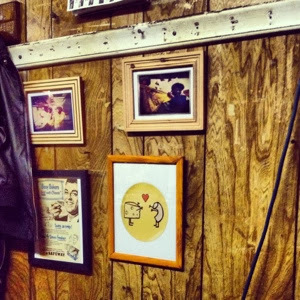 As we sat down at the counter, we were immediately offered drinks and slowly all the other guests began to arrive. As we sat chatting, the crew of Le Pop Up were hard at work prepping some delicious smelling treats. 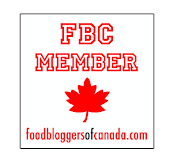 First up a deliciously creamy and thick tomato soup served with a classic grilled cheese to dip. The soup was beyond perfect, one of the best tomato soups I have ever tasted. Silky, smooth and perfectly seasoned this Parmesan infused soup is definitely going to keep anyone warm on our cold Montreal winter nights. The classic grilled cheese is made on Challah and grilled until it's deliciously crisp and the cheese gooey, seriously the only way to make a proper grilled cheese - especially for dunking. Sadly my soup and grilled cheese came to an end, should have been served in a giant never ending bowl, but it was quickly replaced with yet another of my favourties, French onion soup. Served casual style, this rich and flavourful soup had homemade croutons floating and soaking up the delicious broth, and a crisp and gooey topping of a Gruyere/cheddar blend - scrumptious. I finished every last drop of soup just in time to be served a spicy hot bowl of chili. 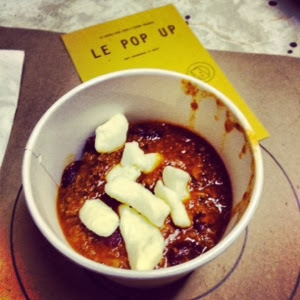 Le Pop Up's twist to chili is that they serve it with cheddar cheese curds - poutine chili sans les frites! I loved the idea behind putting the cheese curds in the chili, however I did not find that it added anything to the dish. The cheese did not melt properly and there was no flavour added to the chili. Don't get me wrong, I love adding cheese to my chili, normally a pepper jack or a jalapeno cheddar, but this time I just found it bland and didn't jive well with the chili. This chili on it's own was absolutely fantastic, reminded me of a Texas style chili. The last dish served was a new one that they are still playing with. 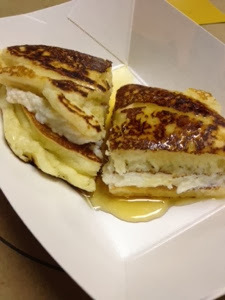 Creamy sweetened ricotta cheese sandwiched between two beautiful and fluffy pancakes and topped with real maple syrup. Each component of this dish was well thought out, their only issue at the moment is the saltiness of the pancakes. During the cooking process on the flat top, the pancakes seem to pick up all the salty flavours from the years of cooking bacon and other salty flavoured foods. I am confident they will fix this minor issue. 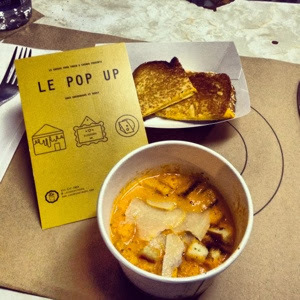 Le Pop Up has many other items on their menu and I for one am thrilled to have them so close by. 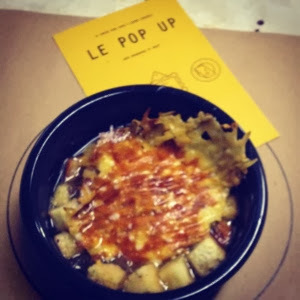 Staring November 1st, Le Pop Up at Cosmos will be opened Thursday through Saturday 8pm until 2am feeding the hungry late night crowd - I know I will be there!